A graveside service for Mrs. 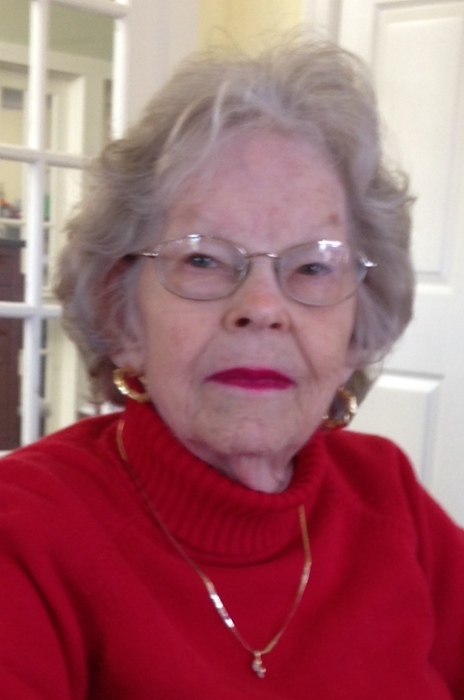 Jewel Ingram Millen, 87, will be held at 2 o’clock Saturday, December 1, 2018, at Magnolia Cemetery. Brown-Pennington-Atkins Funeral Home is serving the Family. Mrs. Millen, widow of James D. Millen, Sr., died Tuesday, November 20, 2018, in Murrells Inlet, SC. Born on February 17, 1931, in Hartsville, SC; she was a daughter of the late William Samuel and Carrie Edwards Ingram. Jewel lived most of her life in Hartsville. She was a loving mother and grandmother who especially enjoyed her family and visiting with her daughter in Murrells Inlet, where fishing was a favorite activity. Her grandchildren considered Nana’s house a very special place where pizza and popsicles were always in the freezer, and spending the night was a treat. Holidays were always celebrated at her home with lots of family and wonderful food. Surviving are her children, James D. (Carol) Millen of Raleigh, NC; Jane I. Millen of Murrells Inlet, SC; and David B. (Wendy) Millen of Hartsville; grandchildren. Meredith Millen of Rocky Point, NC; Meagan (Tyler) Knowles of Raleigh, NC; Margaret (David) Gora of Charlotte, NC; Ann (Josh) Beasley and Scott Millen of Hartsville; great-grandchildren, Ragen Millen, Eliza Knowles, Graham and Caroline Gora, and Greyson Beasley; brother-in-law, Fred (Joann) Millen of Greer, SC, and many nieces and nephews. She was preceded in death by her brothers, Ems Ingram, Hollis Ingram, Rembert Ingram and sisters, Juanita Adams, Ada Grace Watford and Merrie Byrd. The family would like to express appreciation to the staff of The Palmettos Assisted Living Care Facility in Murrells Inlet and the Tidelands Hospice caregivers. Memorials may be made to the Alzheimer’s Association SC Chapter, 901 South Pine Street, lower level, Spartanburg, SC 29302, or to a charity of one’s choice.